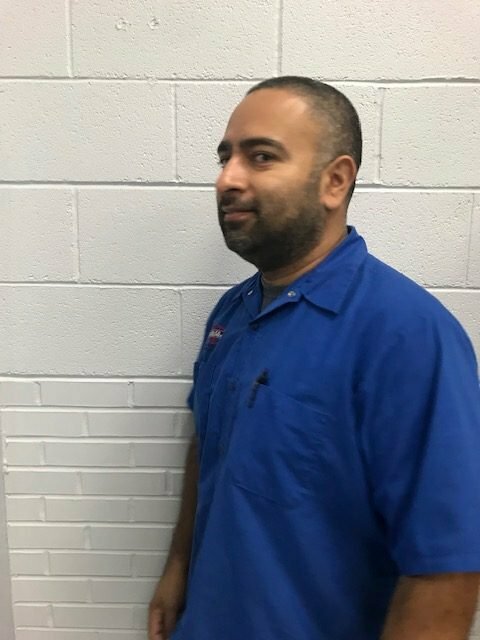 Rafael Romero has been an outstanding service technician for over eight and a half years at NSM’s Dallas branch. He’s responsible for completing service agreements, and he finds the most rewarding part of his job to be going out and meeting different people. He enjoys seeing the different types of businesses Nicol is involved with as well as seeing what all goes into the making of different products and services. Rafael is most challenged by figuring out what is wrong with certain equipment as installation can sometimes be challenging. He’s also frustrated by driving in traffic on a daily basis while hauling around all of his equipment. He defines himself as persistent, sarcastic (we’re going to assume it’s only sarcastic that he posed as if for a mug shot for his headshot) and curious. Rafael relaxes by spending time with his family, enjoying outdoor activities, playing sports and watching movies. Thanks for almost a decade of your persistence, your sarcasm and your curiosity Rafael; we’re a better team with you on it at NSM!